Hiring charges are shown on a link below. We have had a lot of trouble with clients unable to start the heaters, and not turning them off correctly. Instructions are in a video here. The Centre is located in Frencham Place, Downer, in a pleasant garden environment. Three rooms are available for rental by community organisations and activity groups. Not for profit community groups will always have priority over other groups. Prices range from $12 to $25 per hour. Rooms are not available for private parties or other private functions. Please examine the information on costs, procedures and regulations on this website then direct enquiries to 0404 758 576 or ﻿downercentre@gmail.com﻿ Please leave your details, and our Centre Coordinator will return your call. There are three rooms available for hire, usually on a regular basis, to community groups and non-profit organisations. 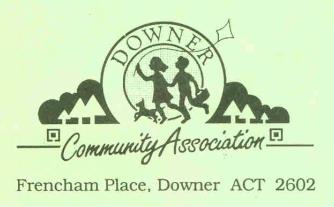 Refer to the ﻿Downer Community Centre Current Client Schedule above﻿ for possible vacancies and contact the Centre Coordinator at downercentre@gmail.com or on 0404 758 576 if you wish to proceed. Note that some hours each weekend are set aside for cleaning, and sometimes rooms are left vacant if a quiet group has booked one room and a similar group cannot be found for the adjacent room. There is a kitchen at the Centre and male and female toilets. However, the Centre does not have disabled toilet facilities. cut, and you will be required to pay a substantial key bond at the time of signing an agreement. This bond is refundable at the end of the booking. See the the slideshow above to view the rooms. The East Hall seats up to 50. It has a lino floor, and is located next to the kitchen. The West Hall seats up to 55, and is carpeted. No food or drink is allowed in this hall. The East room seats 15-20, so is suitable for meetings or smaller groups.